Over the last few days I've been thinking about the importance of revelation in recognising apostles, and about how, whether for all Christians in general or apostles more specifically, identity leads to function. So today apostolic ministry is still on my mind. I suppose what I'm really thinking about today is linked closely to the issues I've already written about, namely sentness and identity. My question today is where do we find apostles? And depending on where our focus is on some of those other matters, we'll end up with different answers to this one. If we're prioritising function and activity, then it would seem natural to say that we find apostles where we see the function and activity being carried out. And, in a way, that's fair enough. The problem is, once again, that this can easily turn into a check-list; so the place where we look for apostles ends up being a church with a numerically large and fast growing congregation. And sometimes, perhaps even often, that is where we find them. But, it's not the place to look! You see, as I've already pointed out in the previous posts, I think sentness and identity take priority over (and lead to) function and activity. 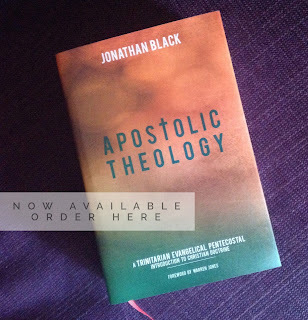 A man isn't an apostle because he acts like one; he acts like an apostle because he is one. In that case, I'd suggest, the better place to look is where apostles are sent from - in other words, to look to Christ the One who sends His apostles. In fact, this makes sense, not only because Christ sends apostles, but because Christ is Hmself the Apostle (Heb. 3:1). 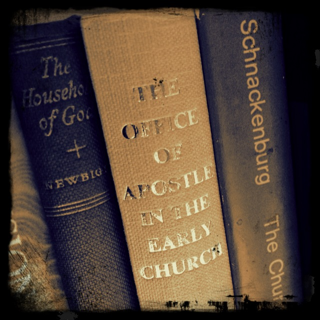 Christ is our true Apostle, and hence the source of all true apostleship. John 17:18 uses the verb apostello, of both Christ and His apostles; they've been sent as He was sent. Judas had "a part of this ministry" (Acts 1:17) and his replacement was to "take part in this ministry and apostleship" (Acts 1:25). 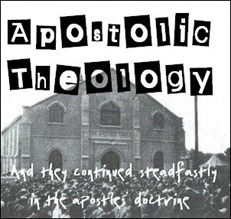 Each apostle then only fills part of the ministry of apostleship. There is only One who has the fullness of apostleship - the Apostle Christ Jesus. So then, Christ is the Apostle, and the men He gives as apostles share in part of His apostleship. That means that it is only through their union with Christ, only as Jesus ministers through them that they can minister as His apostles. As Pastor Rowe put it, apostleship "is the Apostle-Christ in action through human channels" (W.A.C. Rowe, One Lord, One Faith, p.247). That means apostleship is found "in Christ", and so true apostleship should always direct our attention to Christ, its source. And if we want to find apostles, then Christ is the One to whom we should look.